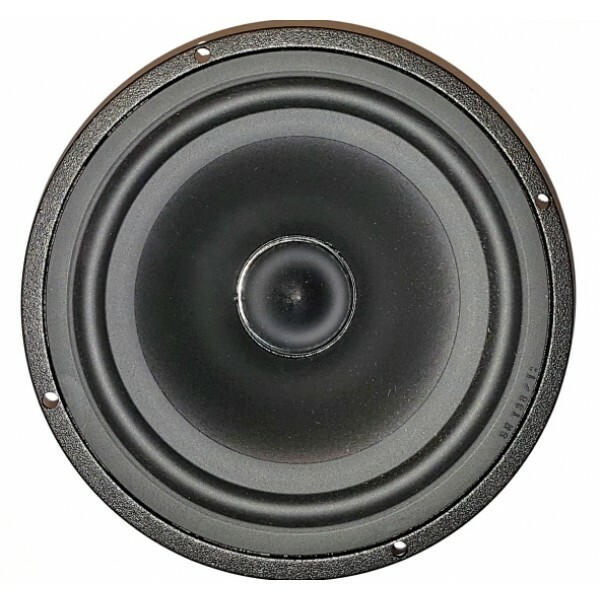 Seas P17RE/P 1 H0816-08 Woofer. £36.20 excl. VAT. 8 Ohms. 170mm Chassis. 6.5" polyprop. cone, Updated High Loss rubber surround, Phase Plug, smooth response. Seas P17RE/P 1 H0816-08 Woofer is the updated version of P17RE/P H0528-08 Woofer, with a modern convex roll surround. This is a high power Seas Woofer with a 6.5" polypropylene cone, Phase Plug and High Loss Rubber Surround giving a very smooth and extended response. The large magnet motor combined with a 39mm voice coil gives low distortion and good transient responses. The phase plug reduces compression due to temperature variations in the voice coil, eliminates resonances that would occur in the volume between the dust cap and the pole piece and increases the long term power handling capacity. A Product Datasheet (H0528-08) can be downloaded by clicking on the appropriate .pdf logo (where shown).